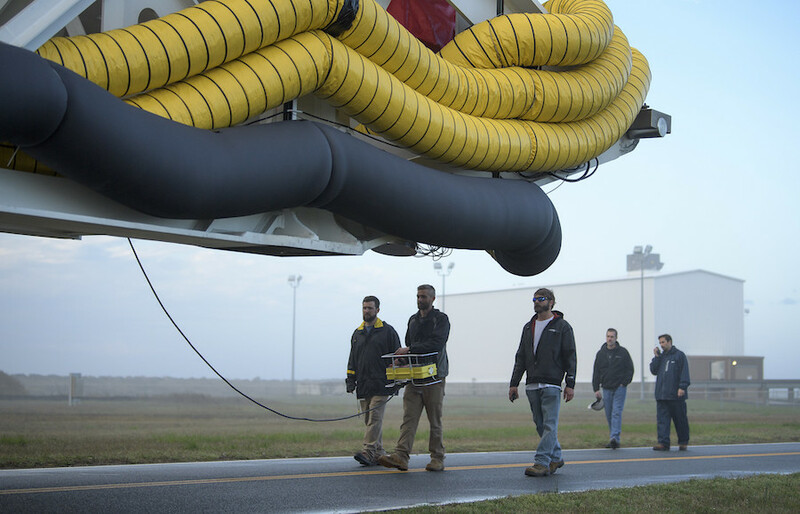 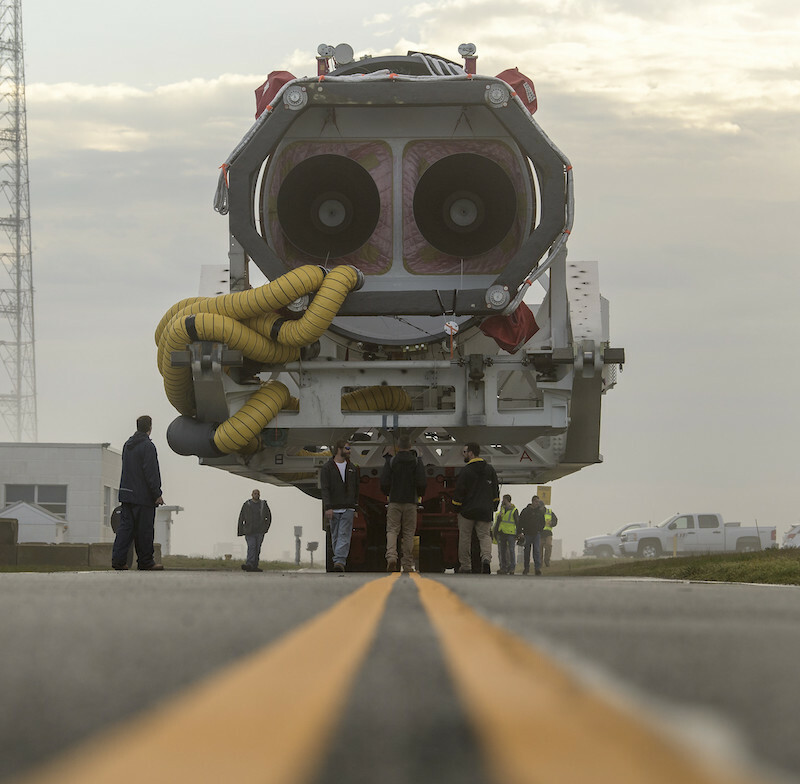 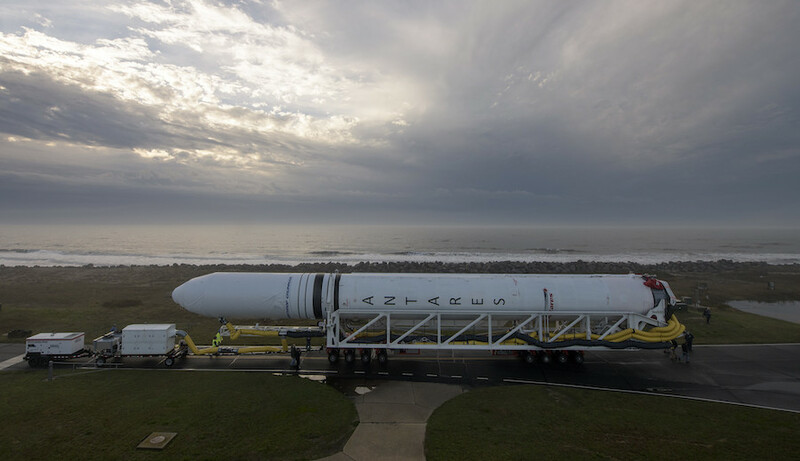 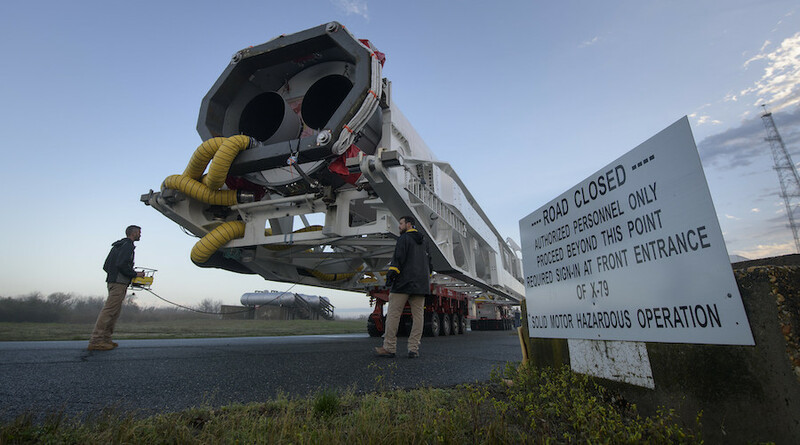 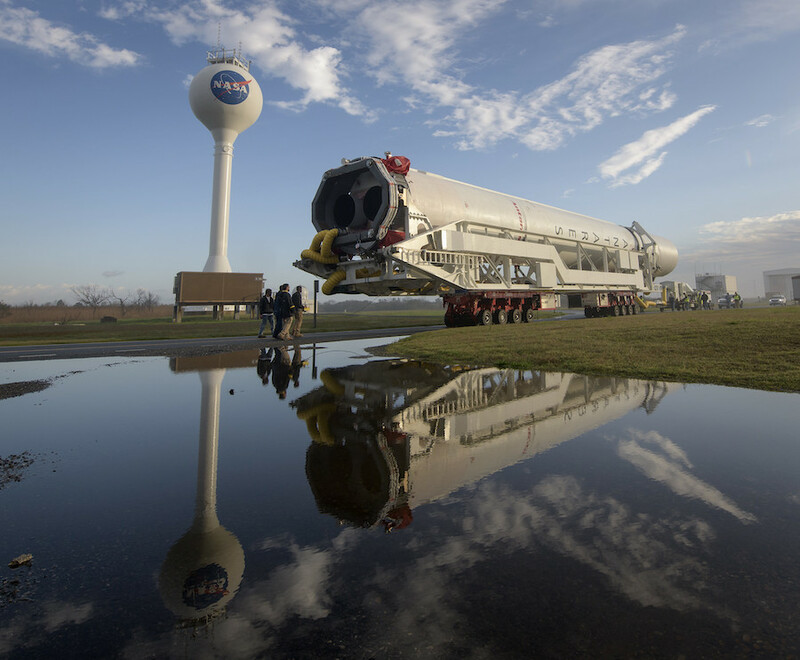 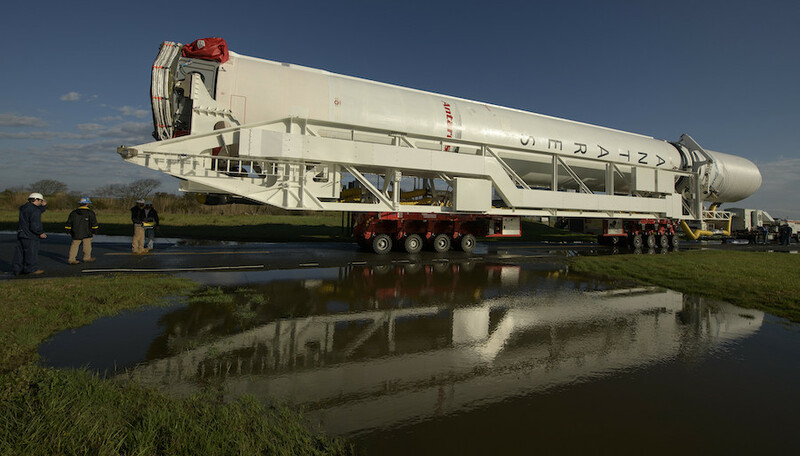 Riding a self-propelled transporter/erector along a two-lane road, the Antares rocket completed the one-mile journey to pad 0A with an uphill trip up the ramp leading to the seaside launch mount. 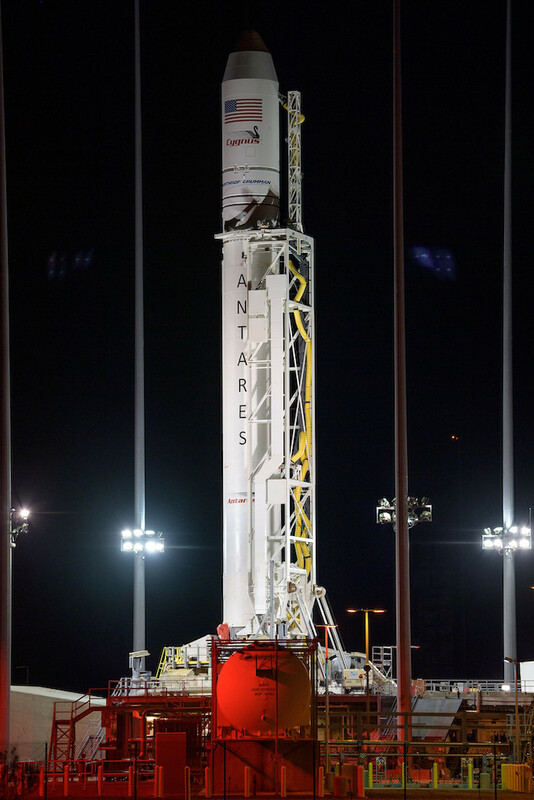 The 139-foot-tall (42.5-meter) Antares rocket was raised vertical at pad 0A for final pre-flight checkouts Monday night. 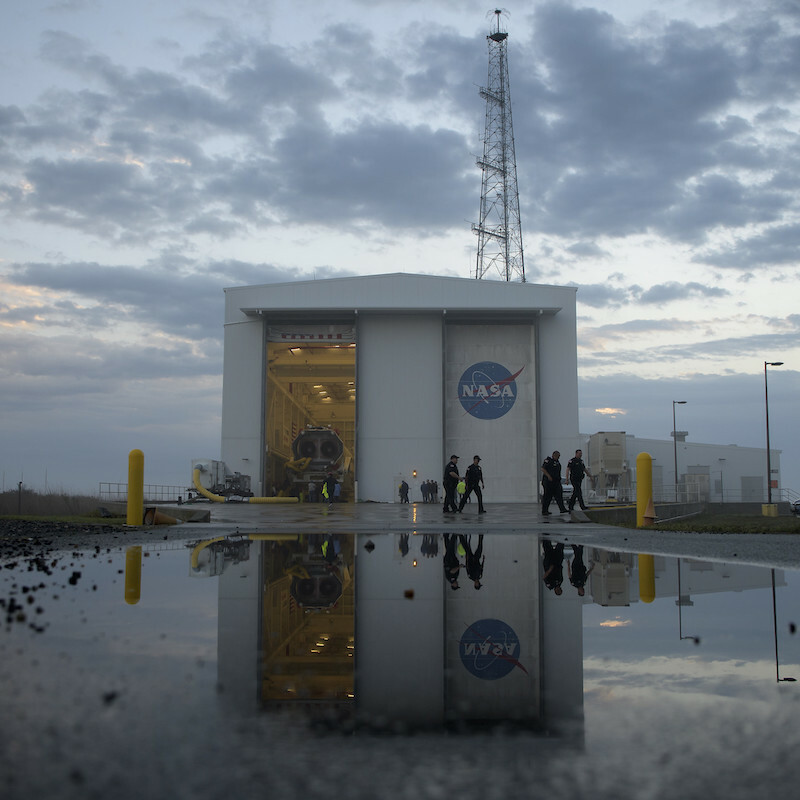 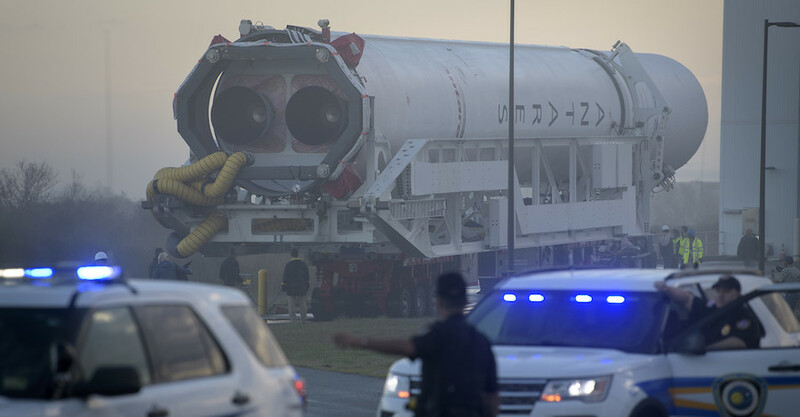 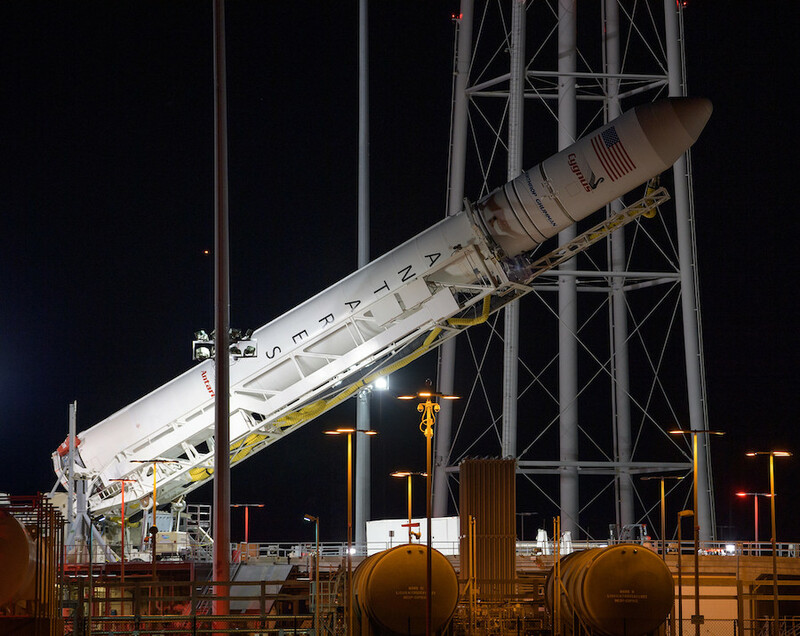 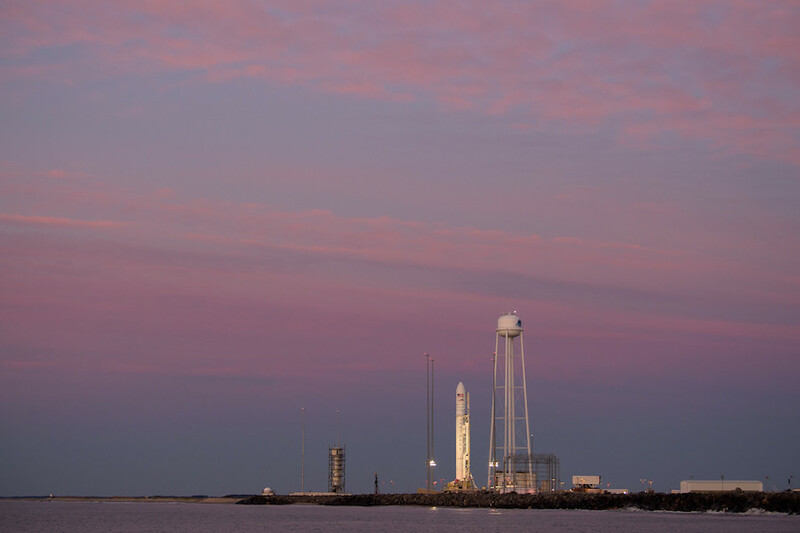 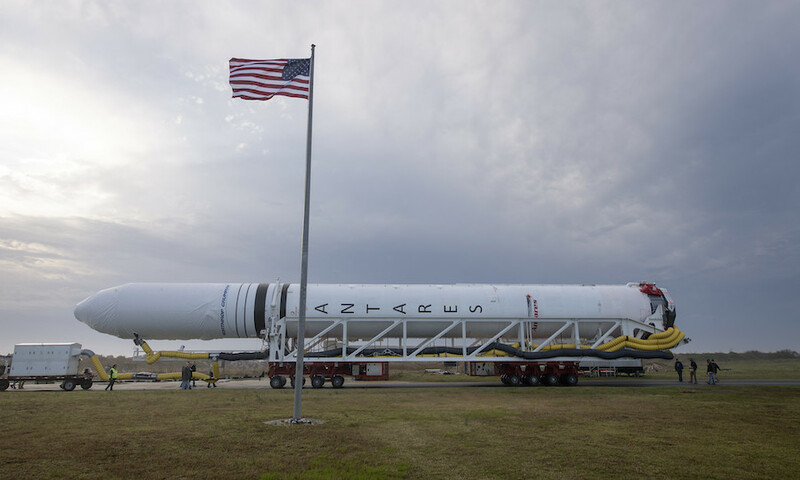 After passing a combined systems test, in which engineers verified all connections between the Antares rocket, ground systems and the Cygnus supply ship, the launcher was rotated back horizontal Tuesday evening for final loading of time-sensitive cargo. 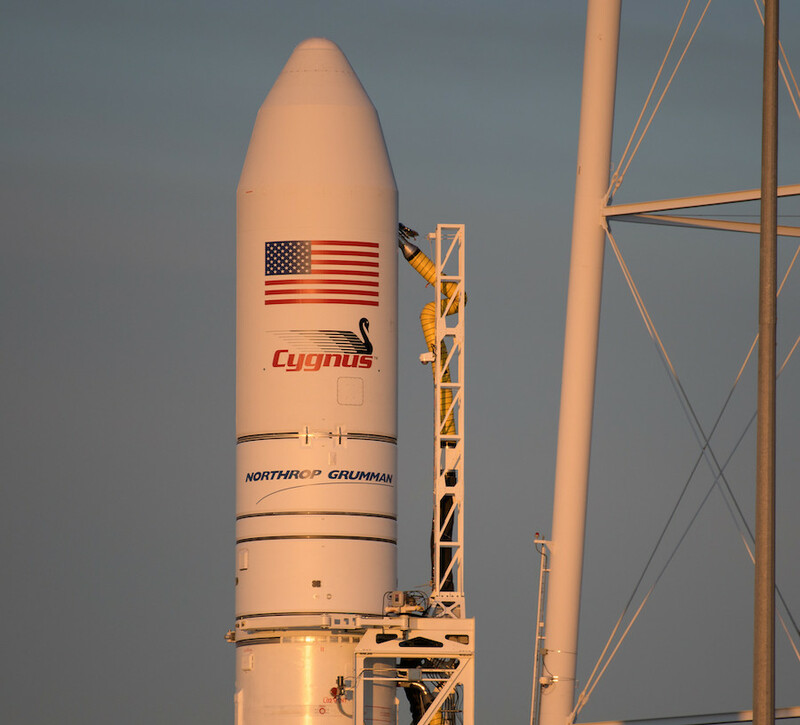 The late-load procedure marks the first time Northrop Grumman has added time-sensitive payloads to the Cygnus spacecraft less than 24 hours before liftoff. 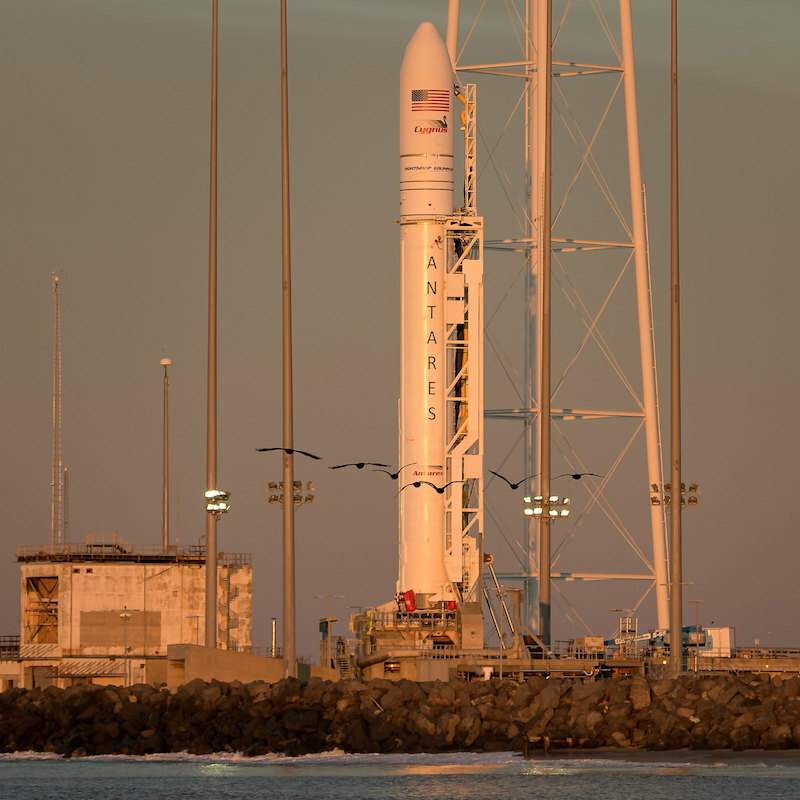 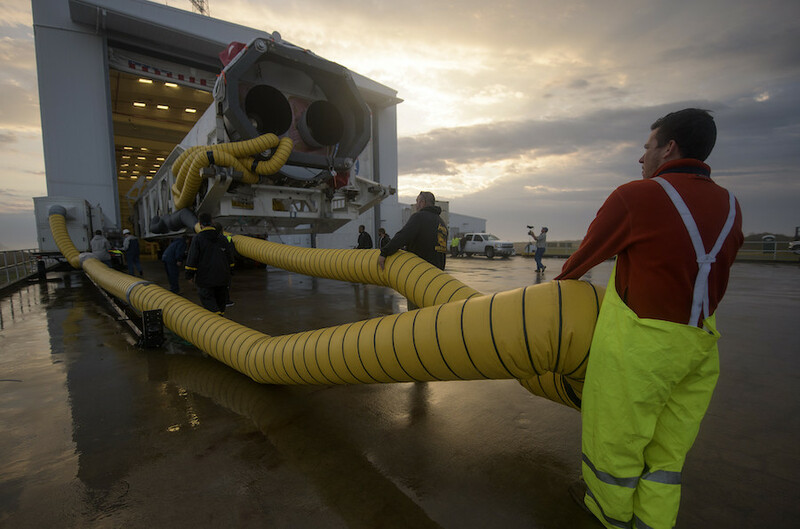 The capability allows teams to load fresh food and research specimens shortly before launch, and crews plan to add a habitat containing mice for immune system research on the Cygnus spacecraft slated to lift off Wednesday. 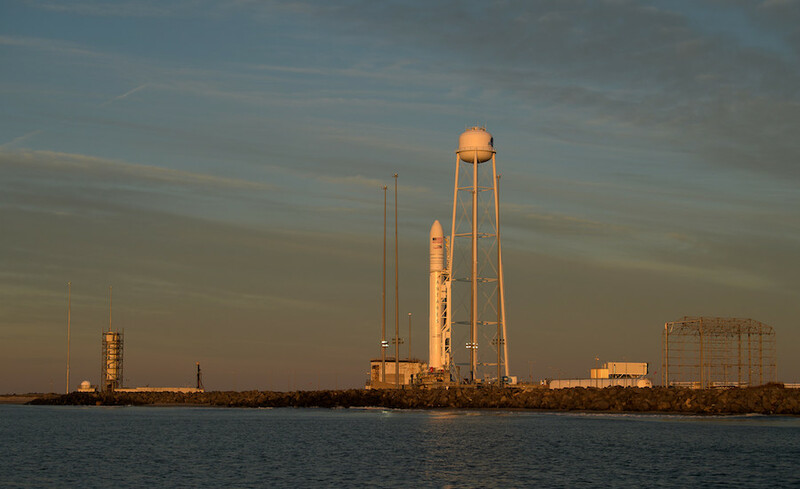 The launch of Northrop Grumman’s NG-11 cargo mission is set for 4:46 p.m. EDT (2046 GMT) Wednesday, and the supply ship is set to arrive at the space station Friday. 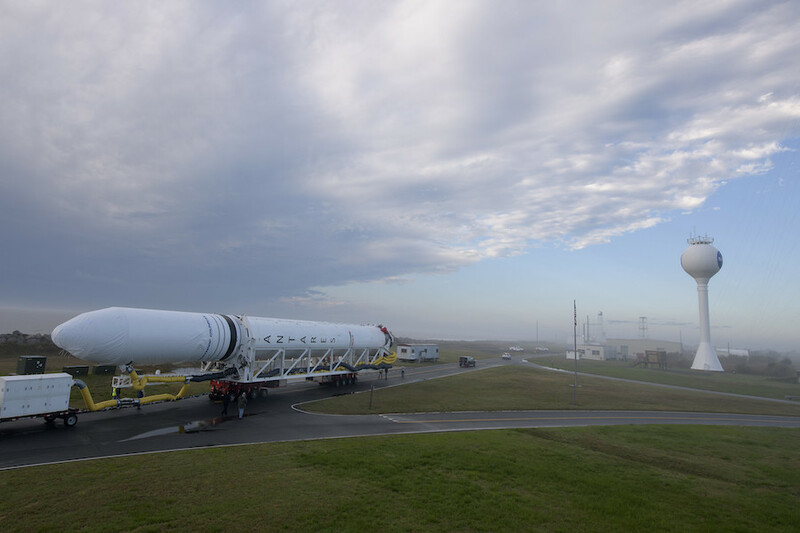 Two RD-181 main engines, burning kerosene and liquid oxygen, will drive the Antares launcher off the pad with approximately 864,000 pounds of thrust.